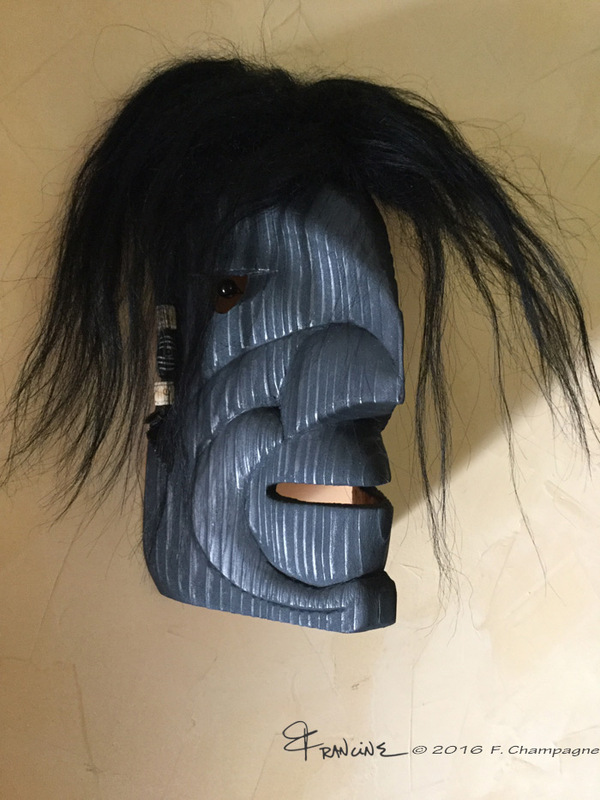 My latest Raven/Man mask; I have done many over the years. All seem to fly away quickly. A large bone crest coming down into a human nose. Don’t know why I started carving them, there must be a story still to be discovered. 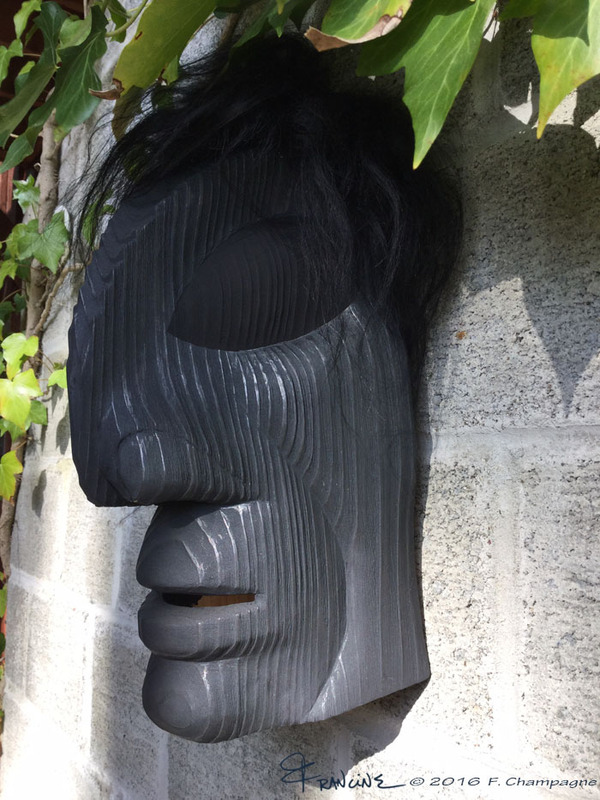 This latest is a series of 3 masks, western red cedar of course. When the wood is fresh and the knives sharp, it is a pleasure to carve this character. I follow subtle internal hints to change its form and it always ends up different. And the latest one, tiny and thin. 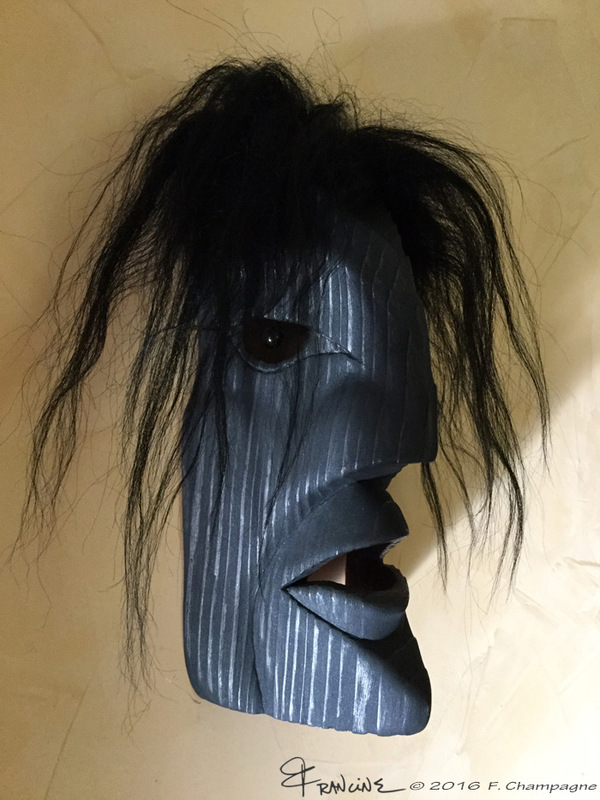 Just before the paint and burnish step, it did for a little while have me recall the Ellen Neel mask. 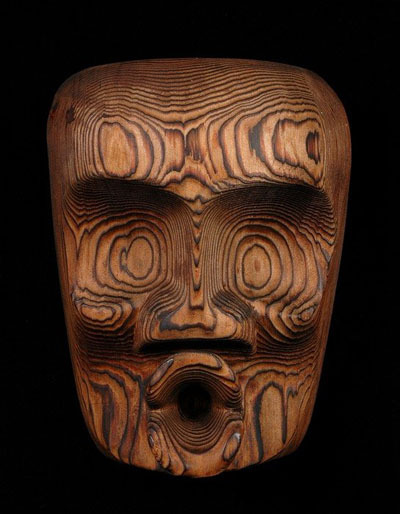 I was always fascinated by Ellen Neel’s Dzonokwa mask. Simple elegant volumes, curved surfaces, minimalism to get the idea of the character across to the viewer. If you are fortunate enough to have seen the dance or know the story, you do recognize her right away. 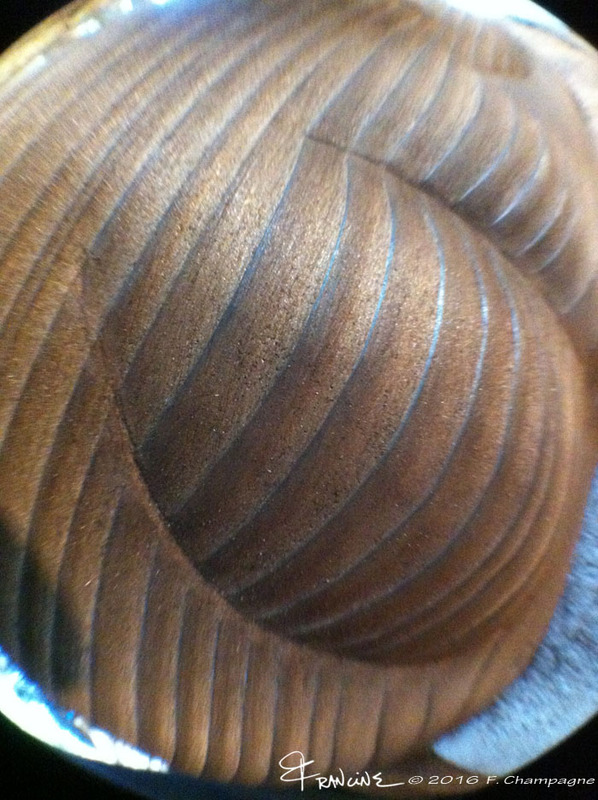 And the surface finish, accentuating the grain in the wood. Superb.